We’re sure that everyone, at some point in time, wished they had access to magic. Some want an entirely different world, where you can go off on magical adventures, meet different and interesting creatures, and lose yourself in something completely and utterly different than what we have right now. For others, it’s as simple as missing the bus and wishing you could just teleport yourself into the damn thing. Or just teleport yourself to the office because you keep running late and the boss is giving you a stink eye. But, of course, we’re only talking about hypotheticals here! The goal of this whole rant being – magic is awesome, and everyone wants a slice of it. So RTG has wisely chosen a magical world for their newest release – so come hunt for fairies, unicorns and other magical creatures in Stardust. We’re not particularly thrilled with the graphics, but they can provide for some interesting moments. RTG seems to have gotten the hang of using small animations to liven up the backdrop and make it seem more vibrant than it is. The swampy surface of this green glowing lake wouldn’t be nearly as attractive if it weren’t for small fireflies dancing about, and the occasional blue glow of pixies flying through the air in rather gorgeous, and seemingly random movements. The user interface is a rather standard one for RTG, using their newer UI. It’s more minimalistic than their previous ones, but the sleek design isn’t intrusive and allows you easy access to everything you need while allowing you to bask in the visuals uninterrupted. On the gameplay side of things, Stardust makes good use of its special features, as most of the attention will go towards them. The game is played on a 5x3 playing field with 243 ways to win, forgoing traditional paylines. Instead, gamblers only need to connect the same symbol across three or more adjacent reels, going from left to right. The title is a medium volatility offering, meaning gamblers get some solid jackpots. They are not as great as in high volatility titles, but are also more balanced between losses and wins, unlike low variance games. 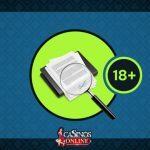 You can bet between $0.40 up to $400 per spin, which is an absolutely massive range of bets that should appease casual gamblers and high rollers alike, who want a slice of the RTG release. 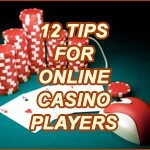 The largest jackpot you can win is worth 2,000x the wager. There’s no information about the Stardust’s RTP, which is a major red flag, as we don’t know how much you can expect to win. RTG is generally bad at providing this information, so we’ll have to dock score points there. This slot offers entirely unique artwork for all of its symbols. Gamblers can find berries, crystals, tree stumps, mushrooms, ladybugs, butterflies, fireflies, unicorns and male fairies as regular symbols on the playing field. A female green fairy and a female blue fairy are Wilds, while a treehouse acts as Scatter. Collecting three, four or five Scatters rewards 8, 15 or 50 free spins respectively. During free spins, at least one reel is always covered with Wild green fairies. Green fairies have a chance to transform into blue fairies before pays are awarded, both during normal gameplay and free spins. Blue female fairies multiply all prizes by 4x when part of a winning combination. 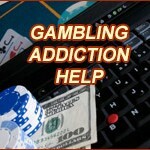 At random times, gamblers can activate a Lucky Feature at the end of any non-bonus game. This will transform one, two, three, four or all five reels into Wilds, and then rewards a single, free spin. We had a lot of fun with Stardust. We liked the graphics, we enjoyed the gameplay, and we think the special features can be a lot of fun. That said, the absence of any RTP information makes it difficult for us to recommend this title. 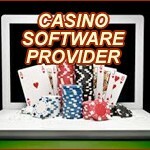 What is a Casino Software Provider?